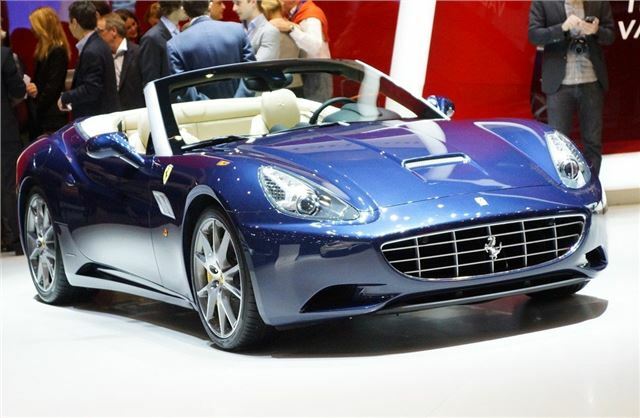 Ferrari took the wraps off an improved version of the California at the 2012 Geneva Motor Show. It's 30kg lighter and has an increased power output of 30PS. This means the V8 now produces 490PS with maximum torque of 505Nm. The changes are thanks to new exhaust manifolds and engine mapping while the torque curve has also been modified and is higher across the rev range. These improvements mean the California is even faster with 0-62mph taking just 3.8 seconds - 0.1 seconds faster than before. An optional Handling Speciale package has been developed which include modifications to the suspension set-up that minimise body roll and make the car even more responsive to driver inputs. The Handling Speciale package includes Magnetorheological dampers controlled by an even faster ECU. There are stiffer springs for more precise body control combined with a comfortable ride. Meanwhile the California benefits from faster turn-in with smaller steering wheel angles thanks to a new steering box with a 10 per cent quicker steering ratio. There is also now a more extensive choice of colours developed by the Ferrari Styling Centre, including two-tone finishes, three-layer paint technology and modern re-interpretations of classic colour schemes. The Ferrari California benefits from the free seven-year standard maintenance programme.